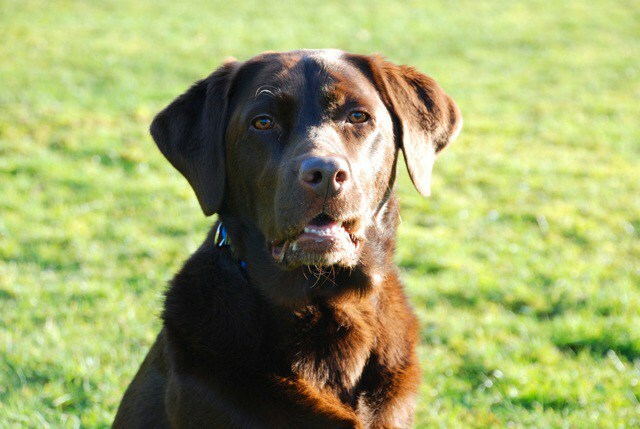 Ella is our beautiful chocolate labrador. She was diagnosed with arthritis when she was 12 months old. At the time I only thought older dogs suffered with this condition. When the vet told me she had arthritis in her elbows I felt so helpless and sorry for her. Ella posing for the camera. She’s five years old now and loving life. ‘The first time I noticed something wasn’t right was when Ella started limping. She would regularly do this after she’d rested from exercise. I decided the best thing to do would be to get it checked out by the vet. The last thing I was expecting was arthritis. When the results came back from her x-rays they’d shown arthritic change and elbow dysplasia and a few months later she had arthroscopy surgery’. The first port of call should always be your vet. Once your dog has been correctly diagnosed there are many things you can put in place to manage this condition. Depending on the severity, your dog may be given pain relief medication. In addition, there are excellent supplements and foods on the market particularly those containing glucosomine which will help your dog’s joints. Managing Ella’s arthritis at such a young age meant she couldn’t do certain things that other dogs could do. Managing arthritis whether your dog is young or old is exactly the same. Weight Control – Ella had to lose a little weight to avoid putting too much pressure on her joints. It’s very hard though when you’re a labrador! Supplements – Her food was changed to one which included glucosamine and once a week she has oily fish, which she loves! 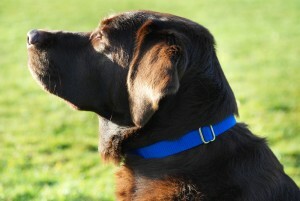 Ella seemed to be managing pretty well so I decided to borrow the magnetic collar for my older dog Jake. After a period of time I noticed Ella was becoming stiff in her right hind leg. So, off we went to the vets and she was diagnosed with arthritis in her right hock! I put the magnetic collar straight back on and within a couple of days the stiffness in her hock had completely gone. Hi Is Ella still on Metacam? Or similar pain relieve? Thanks for your comment. Ella is not on any pain relief at all. She’s 7 now and just wears her magnetic dog collar and goes to hydrotherapy once a fortnight.